PizzArte in New York City -- recognized for its exceptional and authentic Neapolitan pizza -- now offers a delicious option for those on a gluten-free diet! Beginning today, October 1, PizzArte will offer Gluten Free Pizza for dinner. These delicious pizzas are made with extreme care to not cross contaminate, ensuring a 100% gluten-free product, while delivering their authentic Neapolitan taste. PizzArte’s sleek and elegant dining room, with its warm, yet neutral earth tones, and a rotating display of fine art- orchestrated by a gallery curator, offers the ambiance of a Chelsea art gallery and serves as a respite from the corporate skyscrapers of midtown Manhattan, while providing a perfect setting for a truly Neapolitan cuisine experience. 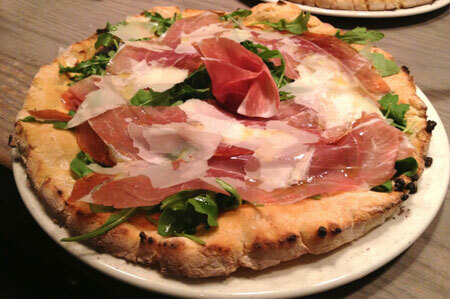 PizzArte is located at 69 W. 55th St. between 5th and 6th Aves., 212-247-3936, visit www.pizzarteny.com, and is open daily from 11am-11:30pm.